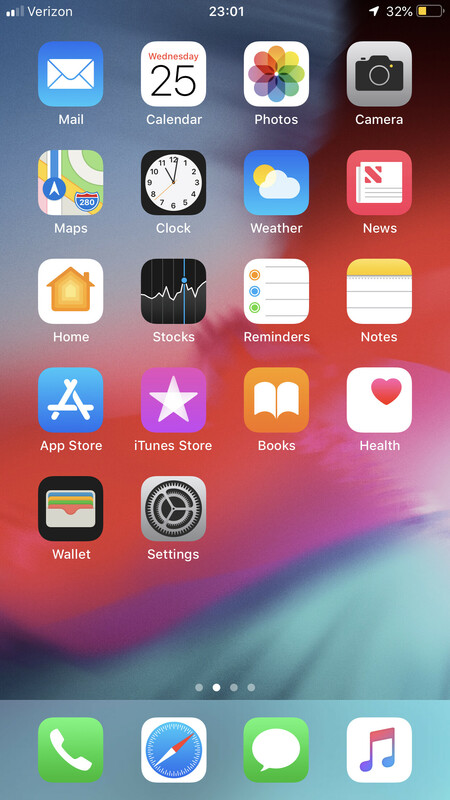 Today, Apple released the fourth version of the iOS 12 public beta following yesterday's release of the fifth developer beta. Perhaps the most notable change in this update is the removal of (Beta) from the Battery Health feature. Apple developed Battery Health in response to the public outcry over performance throttling on iOS devices with aged batteries. It debuted in iOS 11.3 but carried a (Beta) tag as it was still under development. When Apple began releasing beta versions of iOS 12, the tag remained, but in public beta 4, the tag is gone. For those unfamiliar, you will be able to see what the maximum capacity of your battery is and how well your device is functioning. If it is a new device, then maximum capacity should be at 100% and your device should be performing at peak performance capability. Also new in public beta 4: Icon changes in News and Photos; A dialog to inform you about Lyric Search in Music; Darker panels in control center; More saturated wallpaper; Updated splash screen in Photos; Family Members were moved out of the Screen Time page; Bugs were crushed. As we move closer to September, we will see Apple refining their latest software to be ready for a full public rollout following the expected launch of new iPhones. We still do not have a date for the traditional September Apple event, but we will be sure to keep you all up to date.